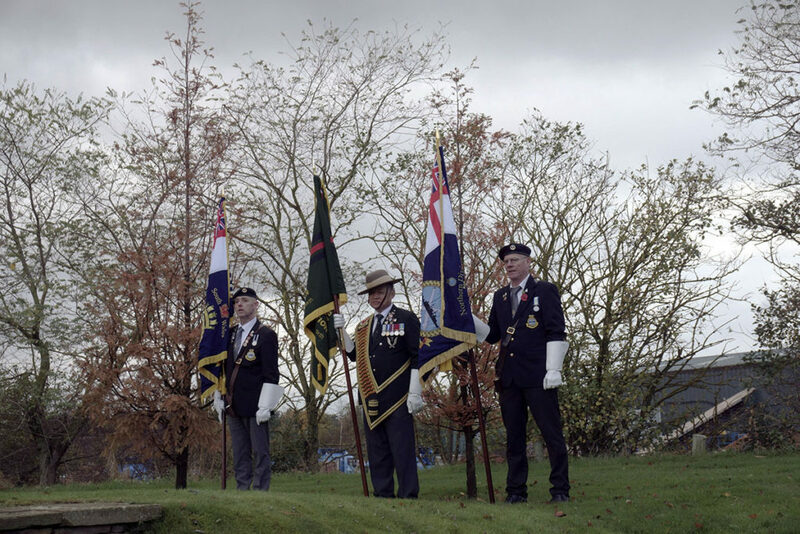 On 11 November 2017, some sixty Gurkha Welfare Trust (GWT) supporters and serving and retired members of the Gurkha Brigade Association joined forces to hold a service at the Gurkha Chautara at the National Memorial Arboretum. Our Chautara was formally opened in 2014, but this is the first time we have gathered there on Remembrance Day. 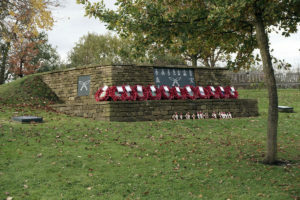 We first watched the formal service at the main Armed Forces Memorial and the parade, before moving to our Chautara for a short but moving service and the laying of wreathes from all our Regiments and the GWT. 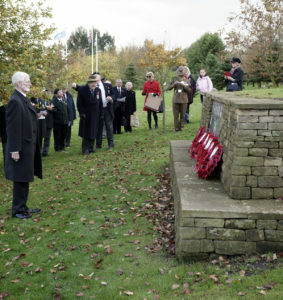 Among the crowd we were honoured to see the family of Colonel Fairy Gopsill, the inspiration behind our memorial, as well as many old friends. This event was the brainchild of Major Rob Cross QGE. Rob, who designed the Chautara, is also the GWT representative for the area and we hope can be persuaded to run the event on an annual basis. It deserves your support.